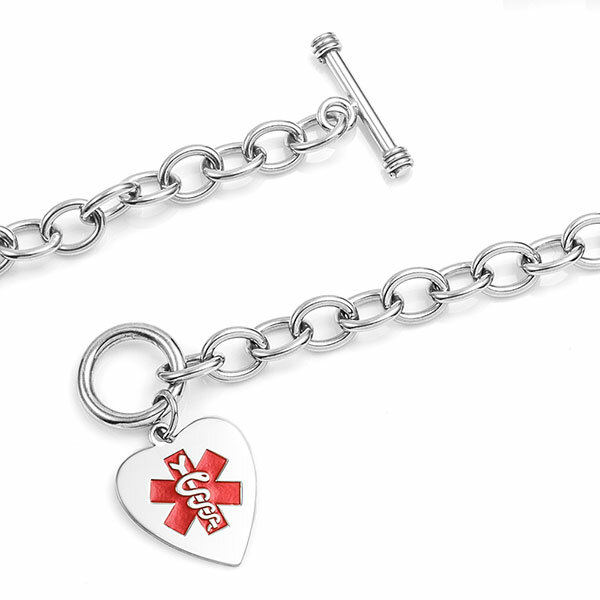 A cute heart charm dangles from this sterling silver toggle style medical alert bracelet. 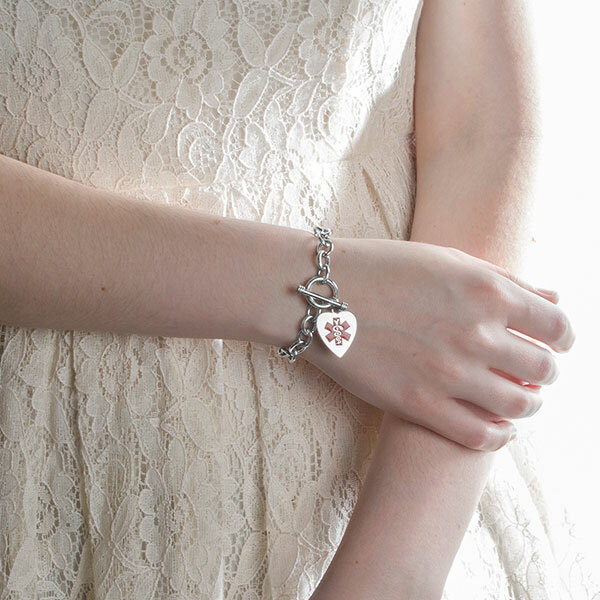 Have the back engraved with medical information. 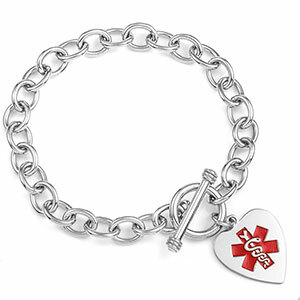 This unique medical ID bracelet looks elegant and provides you with the safety you need.